There is one bug you never want to kill and that’s the stink bug. If you brazenly swat, squash, or step on this household pest once, you’ll never make that mistake again! 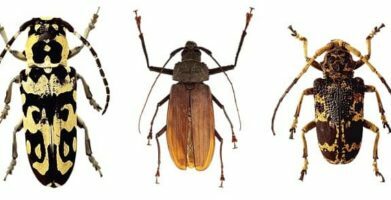 These invading insects believe a strong offense is the best defense, so they release a foul odor if threatened or squashed. Getting rid of stink bugs is easy once you know what to do, so take a deep breath and find out how to make your home a bug free haven. Keep stink bugs away from your house. Unlike other household pests that are looking for a free meal when they invade your home, stinkbugs prefer to dine outdoors. During colder months, stinkbugs and beetles may come inside to overwinter. That is just a fancy way of saying they will try to find a sheltered place — usually in attics or wall voids where they can wait out the cold in a dormant state. This time of year when the weather is temperate, stinkbugs prefer to be outside among the trees and brush. You can keep stink bugs outside where they belong by getting rid of their hiding spots around the exterior of your home. Trim trees so branches don’t come into contact with your home. 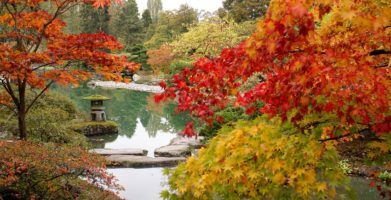 Leave space between your house and any decorative shrubs or bushes so they aren’t touching. Store fire wood at least 20 feet away from your home, and 5 inches above the ground. Block their way so stink bugs can’t get inside. Making sure there are less places for these little stinkers to hide is only the first step. Next, you’ll want to make sure they can’t get in — no matter how hard they may try. These pest-proofing tips will help prevent almost any rodent or insect from getting inside. 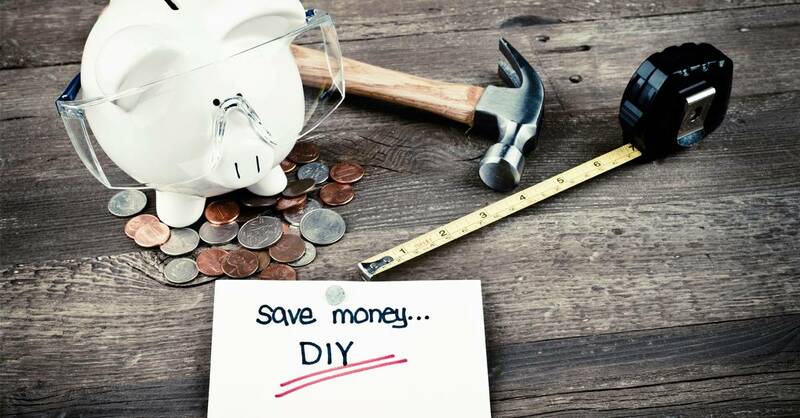 Plus, they’ll help make your home more energy efficient so you’ll save money too. Repair or replace damaged door and window screens. Annoying insects can enter through the tiniest tears and holes. Install door sweeps and weather stripping if there are any gaps around exterior doors. Fill in open spaces where utility lines come through walls. 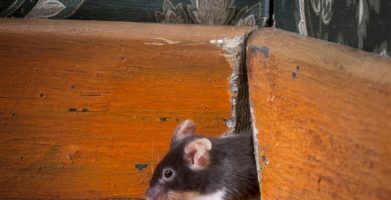 Spray-foam insulation will stop most bugs, but steel wool and silicone caulk offer the best protection from all pests — even rats and mice. Inspect the outside of your home for holes, cracks, or gaps. Pay special attention to areas around siding, chimneys, soffits, dormers, and dryer vents. Once again, silicone caulk is the best material for repairs. Stop stink bugs before they come in. Ironically, the best way to keep stink bugs from coming in, or from making your home their own, is with a scent based repellent. Fortunately for you and me, a savory blend of essential oils — primarily rosemary — is just the thing that will make smelly bugs walk on by. Stay Away® Beetles is specially formulated with natural ingredients to create an invisible barrier no bug will cross. Made up of plant fiber and essential oils, Stay Away® is non-toxic and safe to use inside your home, around pets and children. 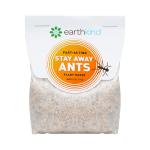 All you need to do is place a pouch wherever beetles or bugs may enter, such as a window sill or door way, and the scent will send them back outside. Replace the pouch whenever the scent has diminished, usually every 30-60 days, for continued protection. 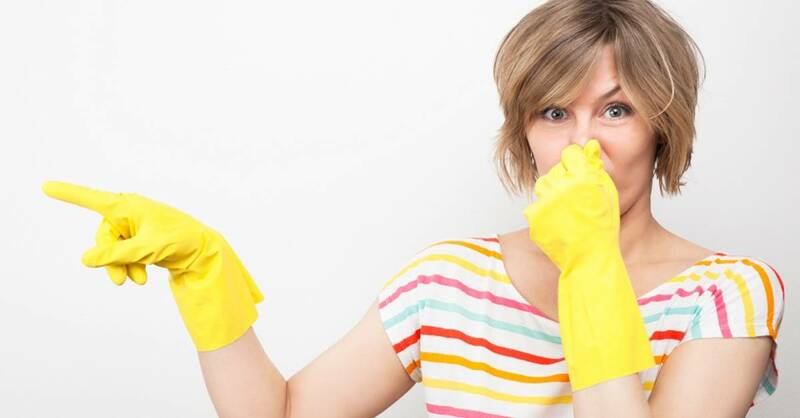 Getting rid of stink bugs naturally means no mess, no chemicals, no pests — guaranteed! Unlike other household pests that are looking for a free meal when they invade your home, stinkbugs prefer to dine outdoors. During colder months, stinkbugs and beetles may come inside to overwinter. That is just a fancy way of saying they will try to find a sheltered place -- usually in attics or wall voids where they can wait out the cold in a dormant state. This time of year when the weather is temperate, stinkbugs prefer to be outside among the trees and brush. Making sure there are less places for these little stinkers to hide is only the first step. Next, you’ll want to make sure they can’t get in -- no matter how hard they may try. These pest-proofing tips will help prevent almost any rodent or insect from getting inside. Plus, they’ll help make your home more energy efficient so you'll save money too. Fill in open spaces where utility lines come through walls. Spray-foam insulation will stop most bugs, but steel wool and silicone caulk offer the best protection from all pests -- even rats and mice. Ironically, the best way to keep stink bugs from coming in, or from making your home their own, is with a scent based repellent. Fortunately for you and me, a savory blend of essential oils -- primarily rosemary -- is just the thing that will make smelly bugs walk on by. Stay Away® Beetles is specially formulated with natural ingredients to create an invisible barrier no bug will cross. Made up of plant fiber and essential oils, Stay Away® is non-toxic and safe to use inside your home, around pets and children. 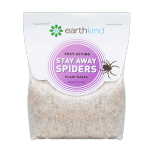 All you need to do is place a pouch wherever beetles or bugs may enter, such as a window sill or door way, and the scent will send them back outside. Replace the pouch whenever the scent has diminished, usually every 30-60 days, for continued protection. 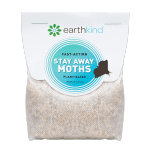 Getting rid of stink bugs naturally means no mess, no chemicals, no pests -- guaranteed! string(35) "3 DIY Ways to Get Rid of Stink Bugs"